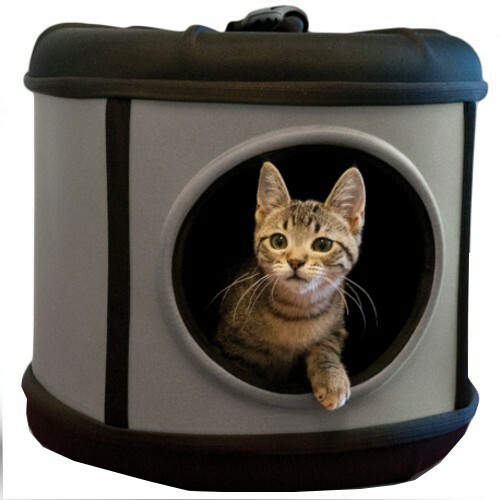 The transporter bed 2 in 1 for cats and dogs is a great product that you can use both at home and on the road. In addition to providing a resting place in the home, it has a super exclusive and eye-catching design. And, needless to say, it is also a transporter of the most original. It has a mesh opening that you can put or remove, depending on what you need. 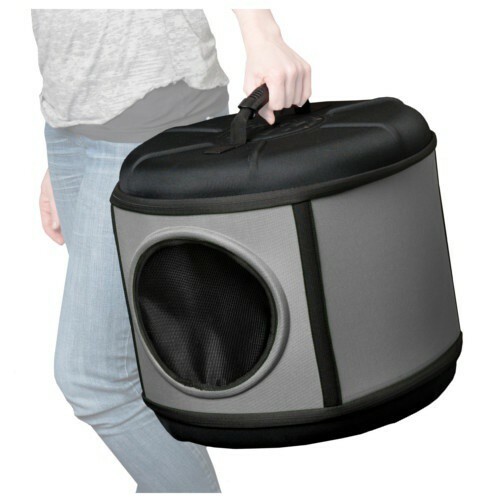 This multifunctional product is excellent for transporting dogs and cats. It has a large size and is very sturdy. One of the advantages of this carrier is that it helps to reduce the stress and fear of your pet when traveling. If you use the carrier as a place to rest at home, your dog or cat will feel much safer and more comfortable during the transport. In addition, it incorporates a soft soft cushion for a greater comfort. 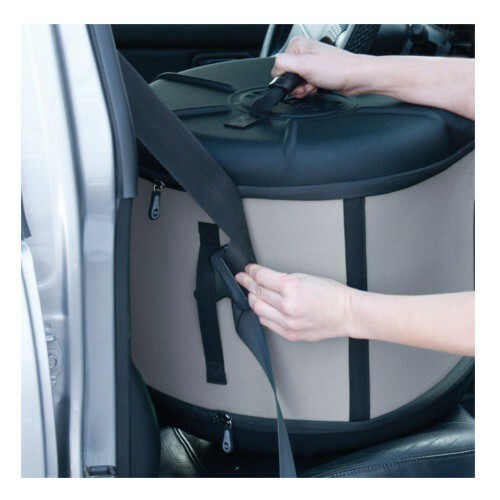 It also has an elastic rubber, designed to pass the belt of the car and ensure its fastening. Carrying bed for cats and small dogs. It incorporates a comfortable cushion in the interior. Hook to pass the belt of the car. Transportín and bed suitable for the transport of small dogs and cats, as well as a place of rest. Very useful for the animal to become accustomed at home and less stressed in travel. 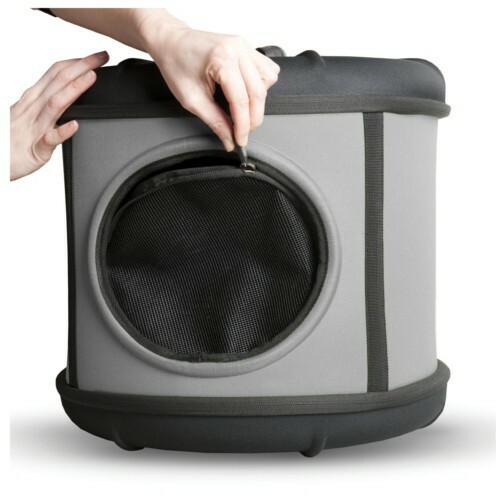 The transporter bed 2 in 1 for cats and dogs is an ideal accessory and very comfortable for travel with your pet.